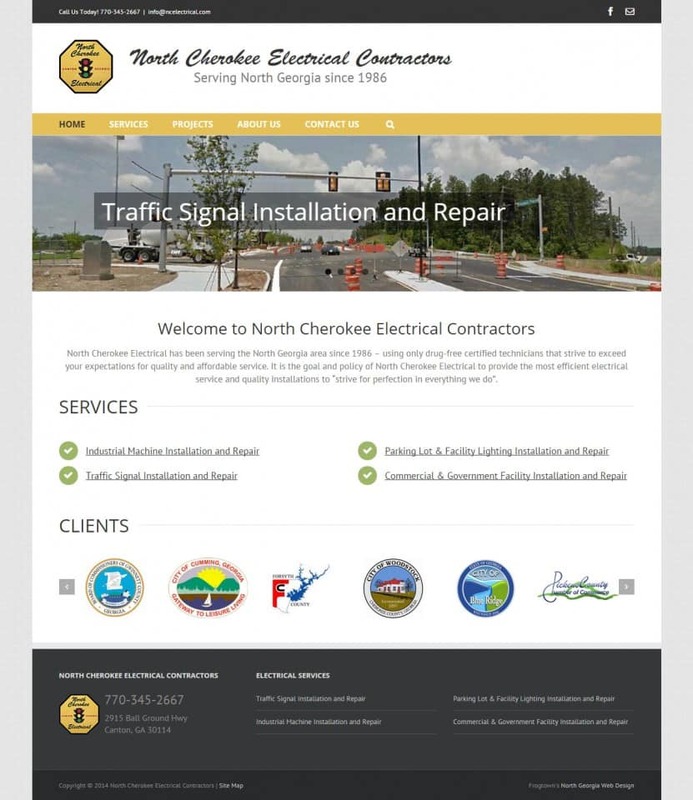 Frogtown created a new WordPress website for North Cherokee Electrical Contractors. The site is clean, responsive and includes a project gallery that is super easy to keep updated! North Cherokee Electrical has been serving the North Georgia area since 1986 – using only drug-free certified technicians that strive to exceed your expectations for quality and affordable service. It is the goal and policy of North Cherokee Electrical to provide the most efficient electrical service and quality installations to “strive for perfection in everything we do”.